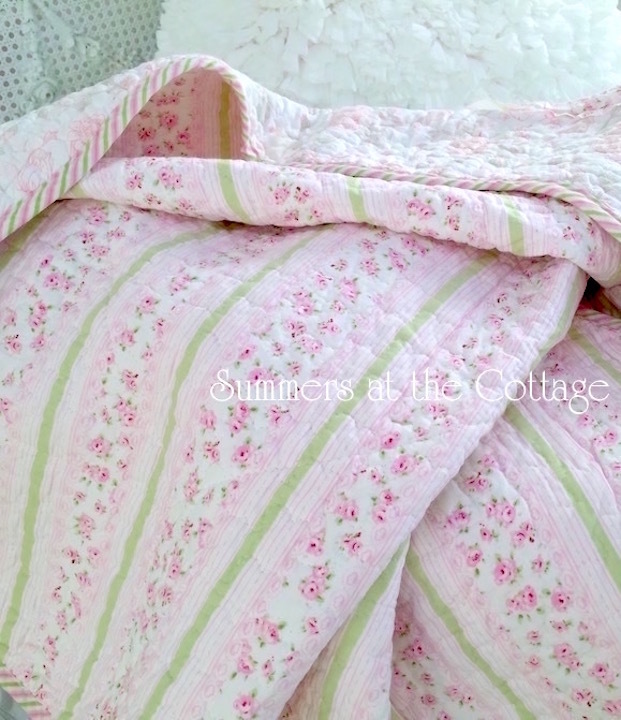 Charming pastel ruffled patchwork quilt set with pink roses, peachy pink florals, and minty green flowers! 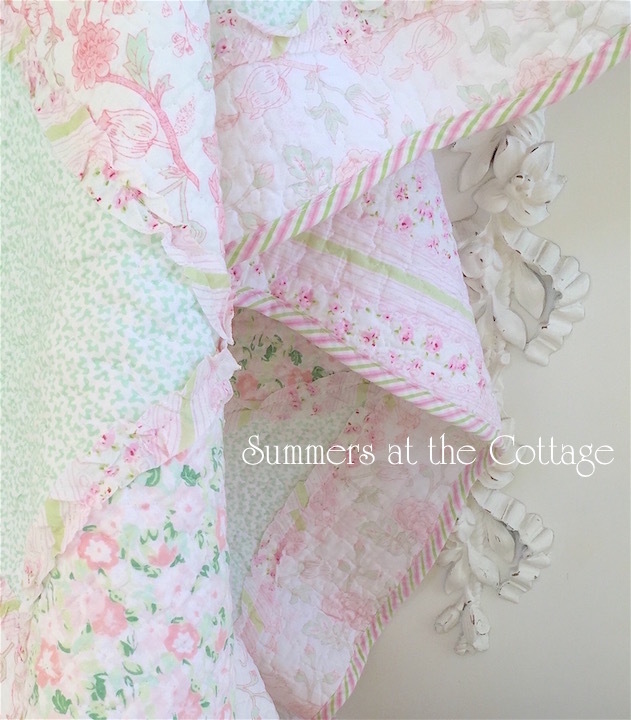 Ruffles surrounding each patchwork piece creates a soft pretty effect. With graceful soft scalloped edges around the quilt and pillow shams, this bedding is stunning with it's soft colors! Reverses to a gorgeous pink rosebuds with mint green ticking striped design. This bedding has it all with the added touch of the cabana stripe edging! Two quilts in one! 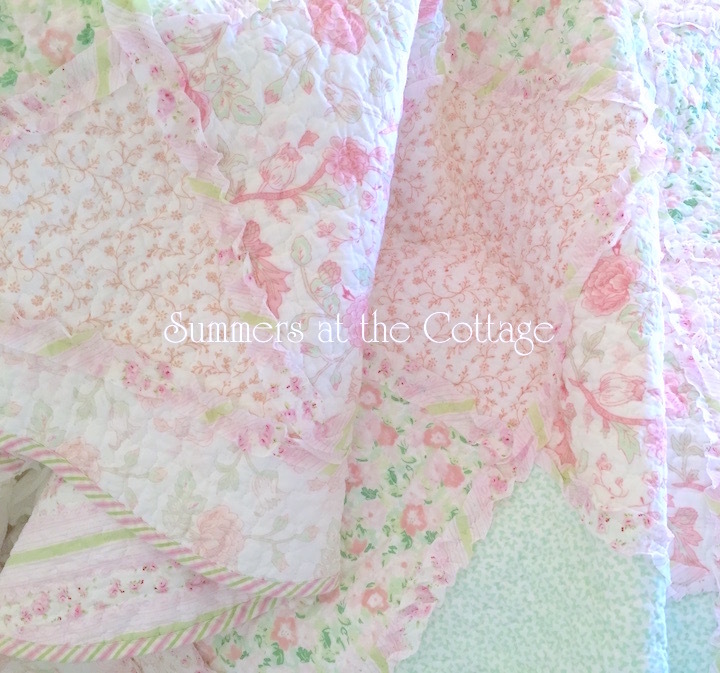 Brand new and 100% cotton inside and out the soft colors make this wonderful in any setting with any colors for your Master Bedroom, Guest Room, English Garden Inn, or Bed & Breakfast! 100% cotton inside and out. Machine wash and dry.